When it comes time to buy new garage cabinet systems, the two most important things that you need to do is to find a cabinet system that offers the features that you need and want, and make sure that you design a storage solution that is perfect for your needs now and in the future. With Moduline, you get both of these aspects met easily, thanks to their expert consultative design service, and the myriad of great industry leading features available in the PROII™ Series Garage and Shop Cabinet Line. Let’s take a quick look at some of these features and then talk about how the consultative design service can help you get the ideal storage solution for your garage or shop space. 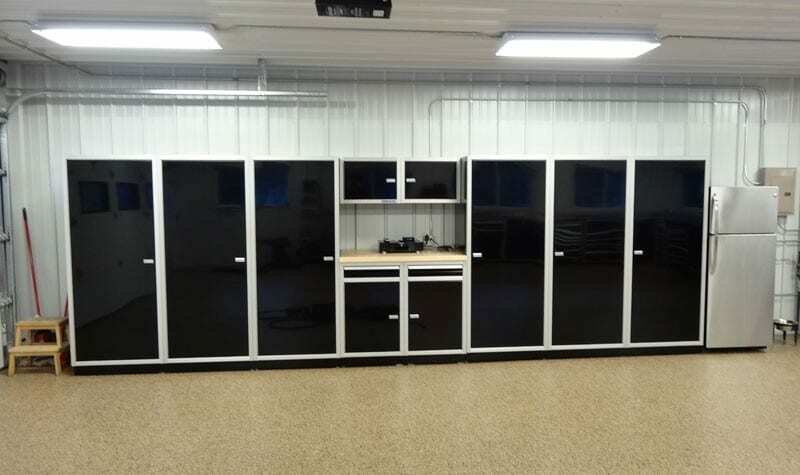 First off, Moduline Cabinets is the leader in ready-to-install modular aluminum cabinets that are lightweight and designed to provide for the unique storage needs of garages, shops, enclosed trailers, vehicle transport trailers, and vehicle storage spaces. 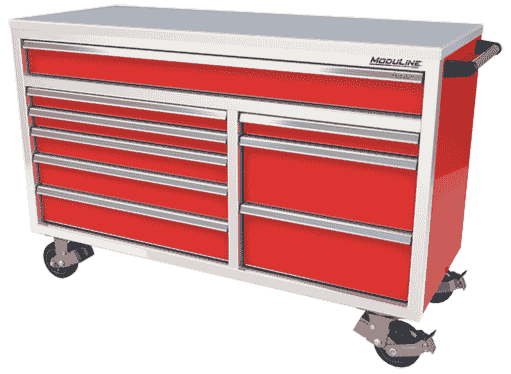 Moduline Cabinets are the perfect blend of form and function for the professional and semiprofessional mechanic, restorer, racer, or even home automotive aficionado, craftsman, or handyman. No matter what your storage requirements are in your space, Moduline Cabinets can help you design a custom layout using modular cabinet systems that will give you the ideal storage solution you need. The best choice for most customers looking into the Moduline Cabinet System is the PROII™ Series. The PROII™ offers industry-leading, best-in-class features that you are not likely to find anywhere else in one package at any price point. These features include top of the line, heavy duty, high-alloy aluminum construction which provides for extreme durability while still maintaining light weight that allows for quick and effortless installation in just about any environment. This material has a much higher strength-to-weight ratio than the so-called “military” grade steel that is used by other makers. This is the same type of high tensile aluminum that is used in the auto industry, as well as marine and aerospace industries. That’s right, these cabinets are made out of the same stuff that an airliner is made out of. These cabinets are stronger than steel, pound for pound, have a much lighter weight for installation in a variety of locations, including mobile applications, and will never rust or deteriorate even after years of use. The QuikDraw® latch system ensures that drawers stay securely closed even when cabinets in trailers are on the move, and without any type of locks or other securements needed. 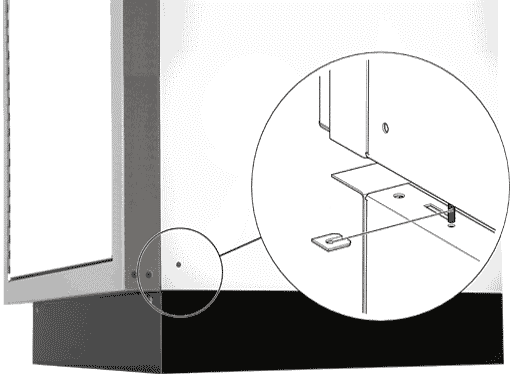 The system allows for reliable closure without any sacrifice to interior drawer space. The quick release system also allows you to open the drawers with one finger, lifting anywhere along the handle. The smooth and whisper quiet opening and gentle, soft closing means no more banging and slamming, because in a busy shop or garage you have enough noise to deal with already. The best part is that there is a duel activation mechanism that works independently of each other. The adjustable toe kick, which helps make up for unlevel floors and allows you to stand comfortably at your bench with more foot space than any other major brand. Unlike other makers, the shimming takes place above the toe kick, so you won’t see it or accidentally knock a shim out of place. It also means that your baseline is constantly in contact with the floor for a neater and more professional appearance. You also will not have to clean under the cabinets and items dropped on the floor will not roll under them. The Toe Kick height is able in 2” or 4”. The Moduline Cabinets exclusive Big Drawer is either 48″ or 60″ wide and features extra drawers slides under the drawer for more support and more capacity. The Big Drawer, like all other drawers in the system, features the QuikDraw® Latch System, and is available in built-in cabinet systems as well as mobile toolboxes. The Big Drawer also has full-extension ball-bearing drawer slides, and optional thumb locks for even more secure closing. The base units feature options, including pull-out shelves, trigger latches, full-length continuous hinges, adjustable shelf systems, double walled doors, and optional locking latches. All of the PROII™ cabinet systems are available in a wide variety of styles and great-looking colors and finish options that will match perfectly with whatever design you have in mind for your space. Speaking of which, when it comes time to design your space’s storage system, why not let the experts at Moduline Cabinets help you pick out the best components and configure the perfect layout that fits your needs. With dozens of options to choose from, and virtually limitless configurations, you can have the ideal storage solution no matter what your needs are easily. Let the Moduline Cabinets Consultative Service guide you through the entire process from concept to orders, and even helping with installation if you need it. This is just one more way that Moduline Cabinets is making professional-grade storage solutions easier and more convenient for everyone. Call Moduline Cabinets today and get a consultation on your new cabinets system for your garage, shop, or vehicle transport today. Move up to style, convenience, and easy living with a storage solution customized for you from Moduline Cabinets. Call us at 1-888-343-4463.